Our balloon pumps are designed with the customer in mind. 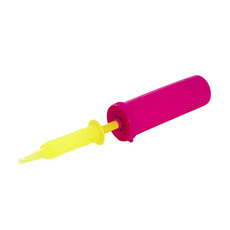 Easy to use and sturdy, they will ensure your party balloons are filled with air in no time. Perfect for parties, events or any occasions, our balloon pumps are easy to carry and will save you precious time when you inflate your party balloons. Once you use our balloon pumps, you won’t want to go back to the old manual way. At Koch & Co we sell our party supplies online, Australia-wide and at wholesale prices. We will deliver your balloon pumps directly to your door step.